Create your playbooks with ease! Everything needed to bring your play to life is just a click away. 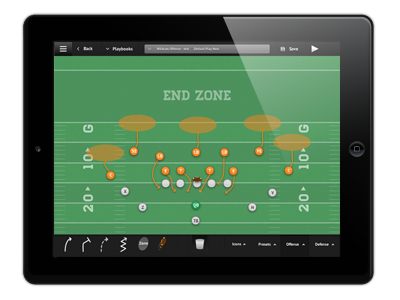 With state of the art animation tools and customizable player options, CoachMe® PlayBook provides you the canvas for your masterpiece. The CoachMe® Network (Mobile to Web Collaboration) enables you to create, edit and share in both the mobile and web platforms while the two fully collaborate! Create in one and view from the other. You can finally share your virtual playbook anytime, anywhere and from any device! CoachMe® LockerRoom is your teams operations center! From here, you can create posts, read comments and access your personal Locker, PlayBooks and Messages, all from one secure location. It helps me draw an idea up to show players in my meeting room. This app is great for all my play designs... this app only gets better. I introduced this to my other coaches and now we share our PlayBooks through CoachMe. I was able to draw up plays for our scout offense to run against our varsity defense. Easiest way to draw and explain different plays, Skills & drills. Perfect. Makes creating a PlayBook much easier and faster. Also saves us money on printing costs. 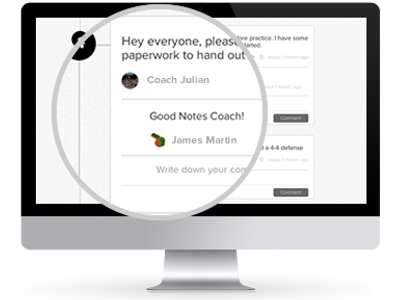 CoachMe has brought the communication capabilities between athletes and coaches to a new level! I use CoachMe to draw plays that I feature on both Football-Defense.com and Football-Offense.com. The diagrams are beautiful and easy to draw. 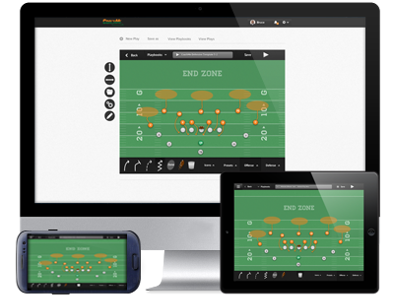 We have also used CoachMe on the iPad in meetings with players to show plays and quickly transition from blocking one front to another. This is quickly becoming my go-to platform for drawing plays. I use CoachMe whenever I'm in practice. It lets me show the kids their assignments on the spot. I also use it on game day at halftime to highlight any adjustments that need to be made. I love the software! I am the offensive coordinator for Lake Charles RiverKats semi-pro football team in Lake Charles, Louisiana. This program enabled me to share with my defensive coordinator on new plays, formations, and strategies for upcoming games and opponents. It helps me during games and I have time to break down plays with my players in time out situations by drawing new plays immediately right on the sidelines. This has been an excellent tool to draw plays to share and review with the coaching staff and also to hand out to the kids. We coach age 6-8 football and this program is not only easy to use but also illustrates how the play is run in a simplistic format that even elementary school kids can understand. Thanks for the great product!